Farmers have been left infuriated after outspoken environmental campaigner George Monbiot publicly called for people to trespass on their land. The Guardian columnist and author used his Twitter account to encourage people to break the law, claiming trespass was the only way to ‘understand’ the countryside and insinuating farmers had something to hide. My advice to those who want to understand the countryside: trespass. What you see off the footpath is not the same as what’s in public view. My advice to those who want to understand the countryside: trespass. What you see off the footpath is not the same as what's in public view. He then went on to claim he had ‘faced down’ a few farmers who threatened to shoot him by ‘reminding them of the consequences’ were they to do so. The farming community was quick to respond to the tweet, with one Twitter user saying it was ‘crazy advice’ because trespass put his animals at risk. Another woman said it was a shame to see someone using their position of influence to spread such an ‘irresponsible and aggressive message’. What a moronic thing to tweet, you are trying to help or hinder? That’s mad, misleading and almost an incitement to break the law! You are so, so wrong. That's mad, misleading and almost an incitement to break the law! You are so, so wrong. Irresponsible, foolish and downright stupid advice, what about ground nesting birds, also dangers of livestock and working vehicles. AHDB market intelligence director Phil Bicknell also weighed in, saying the public should take part in Open Farm Sunday if they wanted to understand the countryside. NFU deputy president Minette Batters said: “The advice from George Monbiot is simply irresponsible and the NFU would recommend not to follow this ill-advised guidance which could see the public put themselves at risk. “Farms are work places and farmers aim to keep the public safe and separate from livestock, tractors and other farm vehicles wherever possible, as well as biosecurity measures to prevent the spread of disease. Trespassing on land can make these efforts redundant. 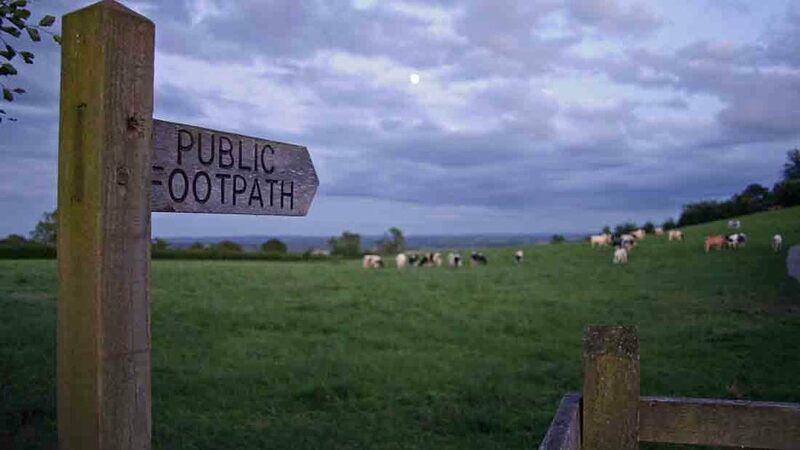 “There are thousands of kilometres of public rights of way in England where you can enjoy the fantastic scenery the countryside has to offer, that farmers are proud to help maintain. You can find Farmers Guardian’s top tips on how to deal with trespass HERE.